Teachers College Press, 9780807757512, 168pp. During the past quarter century, conceptions of leadership have evolved in concert with breakthrough discoveries in science and generative learning. 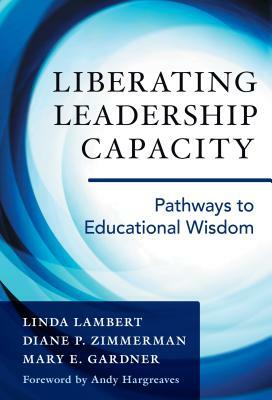 Liberating Leadership Capacity captures these new ideas through the integration of the authors' earlier works in constructivist leadership and leadership capacity. What emerges is a pathway through which educators can become the primary designers of their own learning and that of their students, thus creating sustainable systems of high leadership capacity. This vision of leadership reframes professional learning designs and knowledge creation, describing how these ideas are richly manifested in local, national, and international programs. The context is democratic communities; the learning is constructivist; the leadership is shared. The result is wise schools, organizations, and societies. Liberating Leadership Capacity speaks to all adult learners who are engaged in educational improvement. An understanding of systemic change as an organic process arising from practice rather than being imposed on practice--approaches that unleash a sense of agency and wisdom.